On May, 16th Russia’s Ministry of Economic Development approved another 36 JI projects totaling 128,1 mln tons of CO2. For 17 of them totaling 112,1 mln tons the buyer is VITOL Group, known for their extensive activities in the field of oil trading. The largest project on the list is one by TNK-BP dealing with associated petroleum gas utilization in Western Siberia. Its estimated emissions reduction volume is 61,8 tons of CO2. TNK-BP owns over a half of the approved emission reduction volume as there is one more project of theirs on the list (3,8 mln tons, in Orenburg). Mosenergo has the second place with 8,7 mln tons. For the first time in Russian JI history two LULUCF projects were approved totaling 2,3 mln tons. This way, all JI projects approved so far exceed the previous limit of 300 mln tons by 11 mln tons. 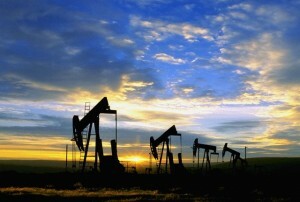 But it is obvious that the trend of promoting oil and gas industry still persists. Of all the JI projects approved so far, oil and gas claim the first place with 38% of planned emissions reduction. Nevertheless, energy efficiency projects keep a relatively good rank with 32 approved projects totaling around 17% of emissions reduction. Twelve projects deal with renewable and biofuel. They constitute only about 2% of emissions reduction which is very modest figure and highly unambitious, having in mind Russia’s incredible potential in terms of RE development. This sort of intensity of JI approval is of course justified by the impending end of Kyoto’s first commitment period, the unavoidable gap between the two periods and the implied degree of uncertainty as for rules of the JI game. Olga Senova of RSEU Climate Secretariat says: There is certain contradiction between the speeding-up of JI approval by the Government and the refusal to join Kyoto2. Russian officials admit that Kyoto mechanisms are beneficial for us, but at the same time deprives our economy of a very effective low-carbon projects support mechanism which is most likely to run only as part of Kyoto2. Anyhow, at the international UN negotiations certain countries have a very distinct position, claiming that JI as well as CDM may run only within Kyoto-2 framework. The potential of Russian JI projects, even judging only by the list of approved projects, is obvious. We are exceeding previously set emissions reduction limits, even without counting all potential projects which have not been approved yet. We would like to hope that the relative success of Russian JI projects will shift Russia’s position towards a more consistent one. And as the next step forward, that it will enable Russia to significantly increase the share of RE and EE projects.